We are happy to announce that the iGEM 2015 season has officially begun! 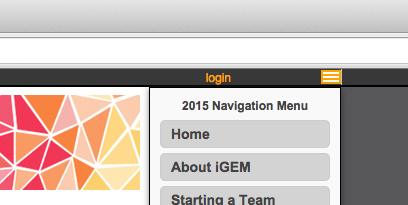 Team registration for iGEM 2015 teams is now open! There are many exciting changes to the iGEM 2015 competition season. See below for changes and check out our new ‘WHY’ feature on 2015.igem.org to learn more about the reasons behind certain decisions. See 2015.igem.org/Registration for details on registration. See 2015.igem.org/Fees for details on fees. The Giant Jamboree will be held from September 24 to September 28, 2015. To secure the Hynes Convention Center in Boston, MA for our event we must book 2 years in advance. Even with the advanced booking, our date options were limited and September was the best choice available. We’ve made some improvements to our 2015 website to better help you navigate. Check out our new navigation guide by clicking on the "List" icon in the upper right corner for a drop-down menu. Remember, keep watching 2015.igem.org for news throughout the season. 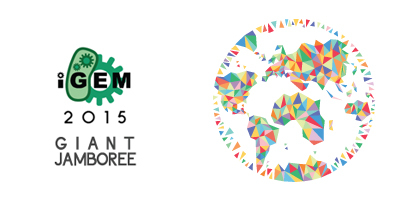 We are excited to announce that in 2015 the High School teams will become a part of the main iGEM 2015 competition and Giant Jamboree event. Instead of two separate competitions, we are combining these two divisions and inviting all teams to the 2015 Giant Jamboree to be held September 24 to September 28, 2015. As such, all high school teams will register and compete with similar deadlines, requirements, and fees as the collegiate teams. Check out our new WHY feature to learn more about this decision. See the 2015 Track page for a list of all 2015 tracks. We have heard your concern about team size impacting performance and have analyzed team size (number of student members on a team) versus project scores. Our studies have found that team size does not affect team success rate. We have seen no significant correlation between team sizes of 8-15 students to those of teams greater than 15 students. Check out our new WHY feature to learn more about this decision at: 2015.igem.org/Requirements. Have more than 15 students on your team? Consider taking advantage of the multiple team discount to get two teams, two presentation times, and two posters to highlight even more of the work that you accomplish over the summer. As you prepare for the upcoming season, we have put together some links to help you get started. Check out our Start a Team page for an overview of what you need to participate in the competition as well as our Calendar of Events. iGEM is proud to announce our Partner Sponsors offers for iGEM 2015. These offers are designed specifically for our iGEM teams. Please check back often for updates and new offers. 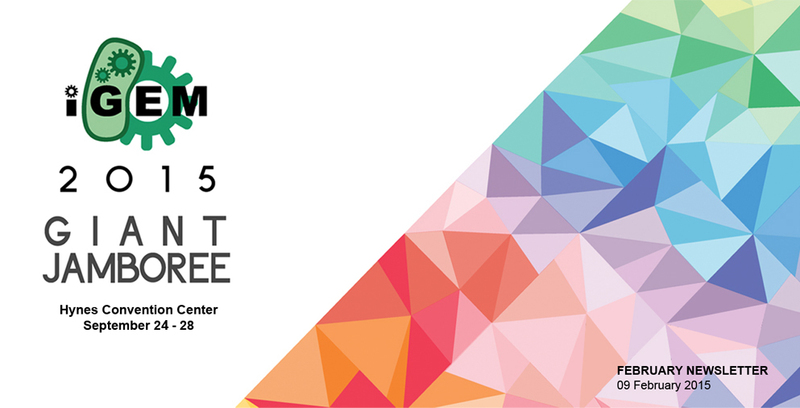 IDT is proud to partner with iGEM for the 2015 competition. We look forward to providing help and guidance for all teams, including an awesome offer for free gBlocks® Gene Fragments, enabling teams to build new “stuff”. Look for more information in the next newsletter.